The first arrival day of the summer can be pretty nerve wracking if it’s your first time working as a camp counselor – you’ve never been in this position before and now you’re about to be responsible for a bunch of kids. You are going to be living with them, eating meals with them and sharing a cabin or a tent with them for the entire summer, so it is very likely that you will form some great bonds with your campers as you get to know them over their stay at camp, whether they’re in your care for one week or eight! But what about when they first arrive? Some kids will get to camp and be very chatty and excited and conversation will just flow, but there will be other kids who arrive and are quite nervous or shy, and it can be hard to get them talking. So I’ve come up with a few great questions to get your started – there are some simple ones to ask as you hang out with your new kids, getting them settle in, and then there are some more detailed questions to keep you going through the first few days. 3. Have you been to camp before? 5. Do you have any siblings? How old? What are their names? 6. Do you have any pets? Names? 7. What are you reading at the moment? (This is also a good way to check if they’ve brought a book to camp… if they haven’t, make sure you find them one from someone else or from the camp library). 8. Where do you go to school? (You might find there are lots of kids from the same school). 9. 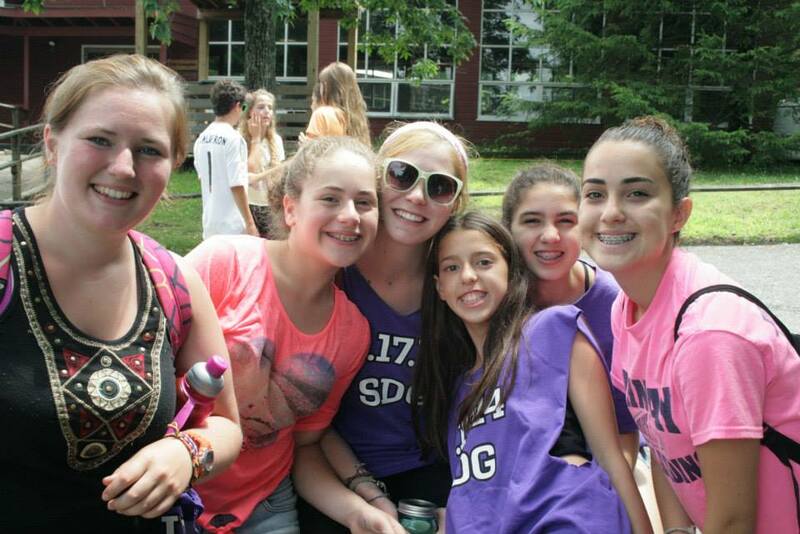 What are you most looking forward to at camp? 10. Have you done any of those activities before? (Ask about the things they said they were looking forward to). 11. What’s your favourite colour? (You could use this to decorate your cabin/tent). 12. What are your hobbies/what do you do outside of school? 13. Do you like sports? 14. Do you like art? (If you can’t get an answer from the ‘hobbies’ question, sometimes it helps to be more specific and ask them about particular things. You can then go on to talk about the activities at camp that might interest them). 15. Have you ever built a campfire? 16. Have you ever had a s’more? How do you like your marshmallow? 17. Is there anything you’re worried about at camp? (Be careful with this one and try to read the situation before you ask it – you don’t want this to set a child off into a homesick meltdown. But if you get it right, you can just have a chat and put them at ease). 18. What’s your favourite food? 19. What’s your least favourite food? 21. What’s your favourite Movie/TV show? 22. What music do you like? (Ask them about specific artists that you might both know e.g. Taylor Swift/One Direction etc). 23. If you could, what two animals would you combine? 24. If you could open a trap door in this tent/cabin and jump through it to anywhere, where would you go? 25. If you were invisible for a day, what would you do and why? Those last 3 are just fun ones I like to ask kids to see what their imaginations come up with! I could go on forever, but I think I’ll stop at 25 and leave you to find some more. There are some great articles out there with loads of ‘questions for kids’ ideas, so have a look for yourself and perhaps make your own list to take to camp with you this summer!